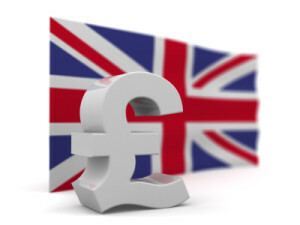 GBP/USD has recorded slight losses in the Thursday session, after sharp gains on Wednesday. In North American trade, the pair is trading at 1.2996, down 0.25% on the day. On the release front, British Net Lending to Individuals dropped to GBP 4.0 billion, missing the estimate of GBP 5.5 billion. This marked the lowest level since July 2016. Later in the day, the UK releases GfK Consumer Confidence, which is expected to come in at -10 points for a second straight month. In the U.S, Core PCE Price Index edged up to 0.2%, while Personal Spending remained pegged at 0.4%. Both indicators matched the forecasts. Unemployment claims rose to 213 thousand, just below the forecast of 214 thousand. The British pound jumped on Wednesday, climbing 1.2% percent as it punched above the symbolic 1.30 line for the first time in three weeks. Nervous investors, looking for some good news in the Brexit gloom, snapped up the pound after positive comments from Michel Barnier, chief Brexit negotiator for the EU. Barnier said that the bloc was prepared to offer Britain a special relationship, which could include foreign and security ties. At the same time, Barnier warned that “there is no single market a la carte”, referring to proposals by the U.K government to cherry pick, such as implementing new immigration rules while retaining access to the single market. With only seven months before the UK departs from the EU, there are a host of unresolved issues, including the Irish border. If there is no significant progress in the next few months, the pound could lose ground. GBP/USD showed little movement in the Asian session. The pair posted small gains in European trade and this trend has continued in the North American session. Previous Previous post: Do kids still do these things?